It is very important to engage in a healthy lifestyle. What we eat affects our health. The body becomes unbalance and looks unhealthy due to constant stress. There are various products that can help you have a healthy skin, face mask, revitalising body products and visiting a beauty specialist is a good tip. Sun light has a positive and negative influence on the body; Too much sunlight can result to skin cancer due to the dangerous ultra violet ray from the sun. 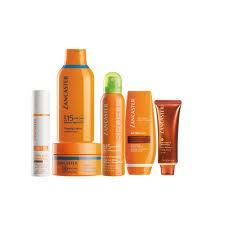 There are three types of UV, A, B, and C.
In order to prevent skin burn, it is advisable to use SUN CARE PRODUCTS, such as LANCASTER SUN CARE and Clinique products.